What is a Residential Dumpster Rental ? This is a service where a roll-off truck offers delivers a temporary residential bin rental to your home for you to load at your convenience. When you are done, give us a call and we remove the dumpster and get rid of the trash, waste and home debris that you don’t want. For reliable Dumpster Rentals trust the selection of dumpsters at Trash King to provide your next waste disposal solution. 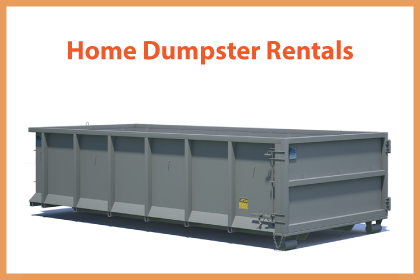 WHAT ARE RESIDENTIAL DUMPSTER RENTALS? Don’t be fooled by companies with cheap dumpster rentals pricing with hidden add ons that end up bringing your bill up significantly. Choose a dumpster rental service with free delivery and ethical waste disposal practices. Choose Trash King. Call 604-433-5865 today and get a price quote for your project. Residential Dumpster Rentals Are Easy! 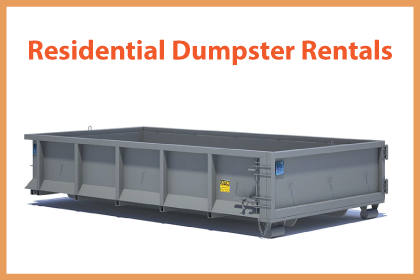 Residential dumpster rentals start with a call or booking our online form. We help you select the perfect dumpster for your home renovation or junk removal project. You choose the date and time for delivery and bring it to your as planned. Fill up the home dumpster at your convenience and call us to pick it up when you are done! Residential Dumpsters: What Do They Cost? 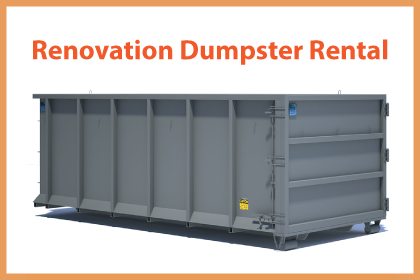 The cost of renting a dumpster is often less than junk removal alternatives. Although, its never quite as cheap as homeowners would like, there are lots of factors that effect the price. For example, if your dumpster is really heavy, that increases the tipping fees. If your load weighs more than the allotted dump fees included, then their will be an additional cost. Another factor, is how long you need the dumpster-rental on site. Most of our services include the first week, but if you need a few extra days sometimes that costs a few extra dollars a day. If you are looking for a price quote on home dumpster rentals, then please call (604) 433-5865 and one our home services specialists can help you decide the most affordable way to get your junk removal done.